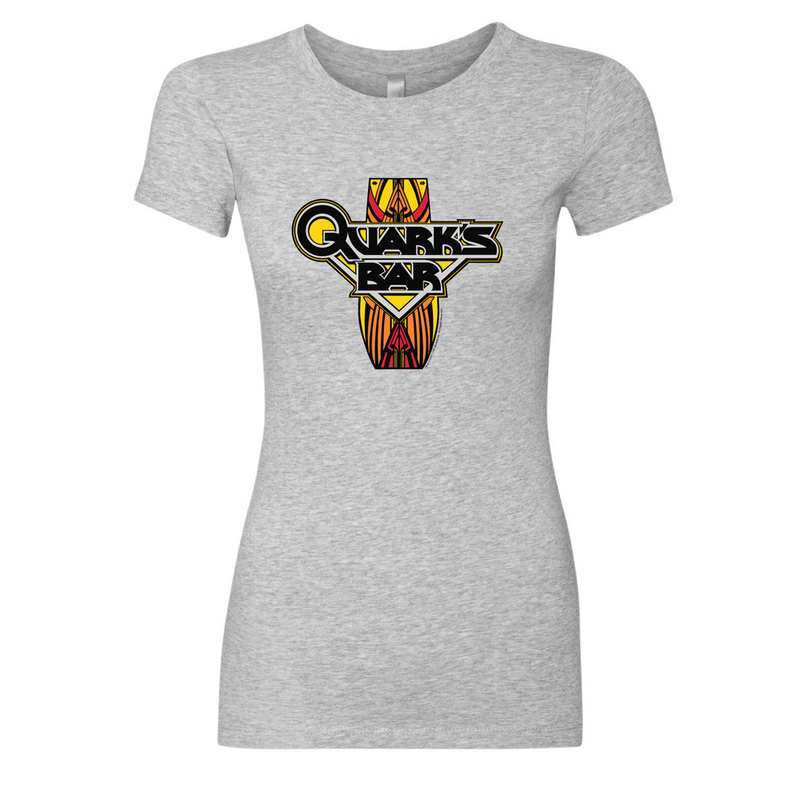 Can I interest you in a drink, some food, some gossip, some gaming; possibly some fantasy fulfillment? Quark can be incredibly convincing as the premier source of entertainment aboard Deep Space 9. 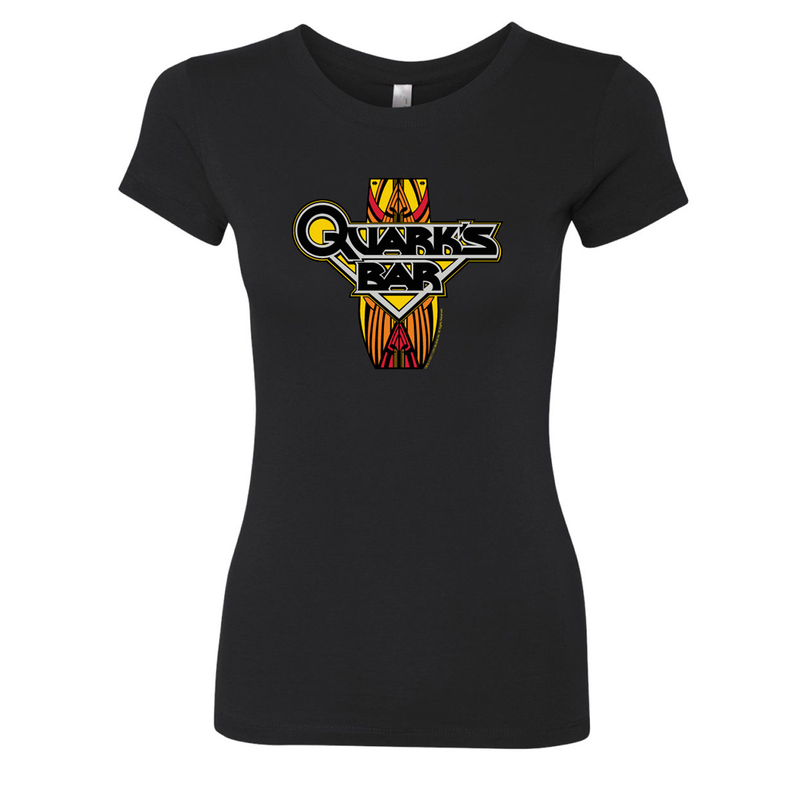 Get the burgundy Star Trek Deep Space 9 Quark’s Bar Women’s T-Shirt and show that you’re a frequent patron of Quark’s Bar. Available in multiple colors. The design is cute. They're not kidding when they say slim fit. I'm a size six but the medium feels too small. My suggestion is to go a size larger, unless you want a snug fit.